Clack clack! 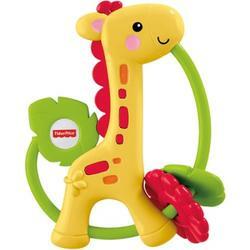 Baby will love the fun and colorful Fisher-Price Giraffe Clacker Rattle with clacking feature. This playful giraffe shaped character with colorful leaf clackers is centered on an easy-grip ring, just right for tiny hands.